Radiation shielding simply means having some material between the source of radiation and you (or some device) that will absorb the radiation. The amount of shielding required, the type or material of shielding strongly depends on several factors. We are not talking about any optimisation. Generally in nuclear industry the radiation shielding has many purposes. In nuclear power plants the main purpose is to reduce the radiation exposure to persons and staff in the vicinity of radiation sources. In NPPs the main source of radiation is conclusively the nuclear reactor and its reactor core. Nuclear reactors are in generall powerful sources of entire spectrum of types of ionizing radiation. 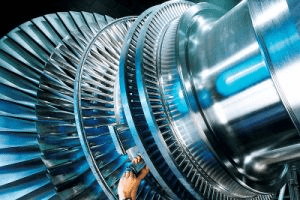 Shielding used for this purpose is called biological shielding. But this is not the only purpose of radiation shielding. Shields are also used in some reactors to reduce the intensity of gamma rays or neutrons incident on the reactor vessel. 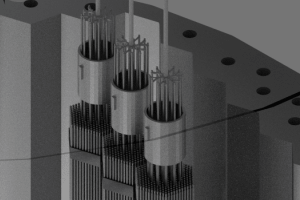 This radiation shielding protects the reactor vessel and its internals (e.g. the core support barrel) from the excessive heating due to gamma ray absorption fast neutron moderation. Such shields are usually referred to as thermal shields. A little strange radiation shielding is usually used to protect material of reactor pressure vessel (especially in PWR power plants). Structural materials of pressure vessel and reactor internals are damaged especially by fast neutrons. Fast neutrons create structural defects, which in result lead to embrittlement of material of pressure vessel. 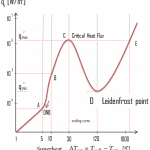 In order to minimize the neutron flux at the vessel wall, also core loading strategy can be modified. In “out-in” fuel loading strategy fresh fuel assemblies are placed at the periphery of the core. This configuration causes high neutron fluence at the vessel wall. Therefore the “in-out” fuel loading strategy (with low leakage loading patterns – L3P) has been adopted at many nuclear power plants. In contrast to “out-in” strategy, low leakage cores have fresh fuel assemblies in the second row, not at the periphery of the core. The periphery contains fuel with higher fuel burnup and lower relative power and serves as the very sophisticated radiation shield. In nuclear power plants the central problem is to shield against gamma rays and neutrons, because the ranges of charged particles (such as beta particles and alpha particles) in matter are very short. 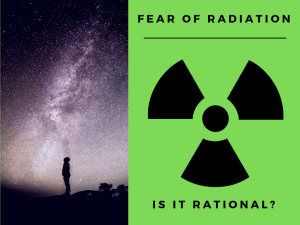 On the other hand we must deal with shielding of all types of radiation, because each nuclear reactor is a significant source of all types of ionizing radiation. 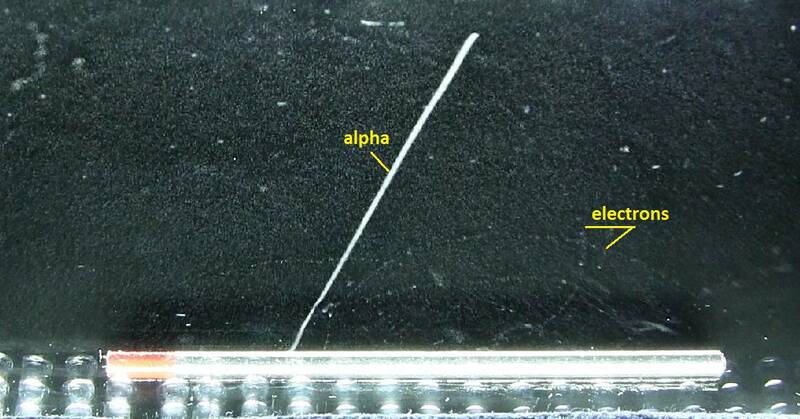 The following features of alpha particles are crucial in their shielding. Alpha particles heavily ionize matter and they quickly lose their kinetic energy. On the other hand they deposit all their energies along their short paths. Therefore the shielding of alpha radiation alone does not pose a difficult problem. On the other hand alpha radioactive nuclides can lead to serious health hazards when they are ingested or inhaled (internal contamination). When they are ingested or inhaled, the alpha particles from their decay significantly harm the internal living tissue. Moreover pure alpha radiation is very rare, alpha decay is frequently accompanied by gamma radiation which shielding is another issue. The following features of beta particles (electrons) are crucial in their shielding. Beta particles are energetic electrons, they are relatively light and carry a single negative charge. Their mass is equal to the mass of the orbital electrons with which they are interacting and unlike the alpha particle a much larger fraction of its kinetic energy can be lost in a single interaction. Their path is not so straightforward. The beta particles follow a very zig-zag path through absorbing material. This resulting path of particle is longer than the linear penetration (range) into the material. Since they have very low mass, beta particles reach mostly relativistic energies. Beta particles also differ from other heavy charged particles in the fraction of energy lost by radiative process known as the bremsstrahlung. Therefore for high energy beta radiation shielding dense materials are inappropriate. When the beta particle moves faster than the speed of light (phase velocity) in the material it generates a shock wave of electromagnetic radiation known as the Cherenkov radiation. 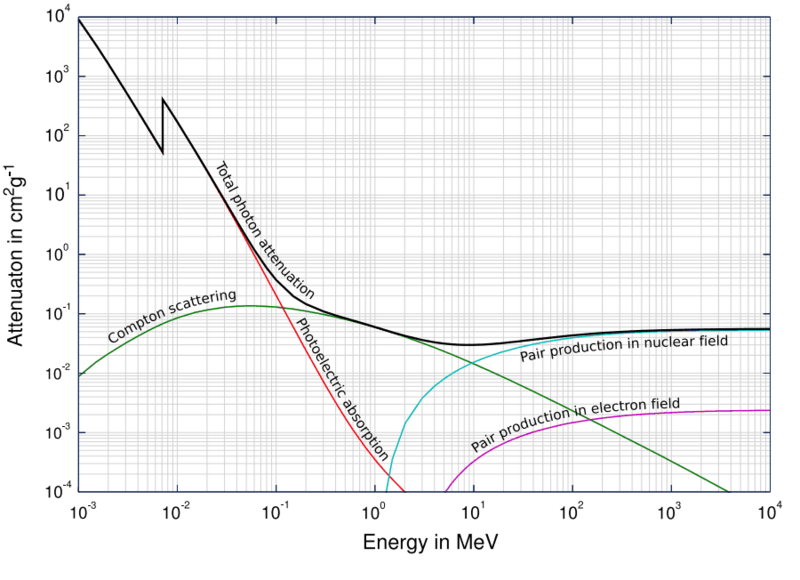 Beta radiation ionizes matter weaker than alpha radiation. On the other hand the ranges of beta particles are longer and depends strongly on initial kinetic energy of particle. Some have enough energy to be of concern regarding external exposure. A 1 MeV beta particle can travel approximately 3.5 meters in air. Such beta particles can penetrate into the body and deposit dose to internal structures near the surface. Therefore greater shielding than in case of alpha radiation is required. Materials with low atomic number Z are appropriate as beta particle shields. With high Z materials the bremsstrahlung (secondary radiation – X-rays) is associated. This radiation is created during slowing down of beta particles while they travel in a very dense medium. Heavy clothing, thick cardboard or thin aluminium plate will provide protection from beta radiation and prevents of production of the bremsstrahlung. Lead and plastic are commonly used to shield beta radiation. Radiation protection literature is ubiquitous in advising the placement of plastic first to absorb all the beta particles before any lead shielding is used. This advice is based on the well established theory that radiative losses (bremsstrahlung production) are more prevalent in higher atomic number (Z) materials than in low Z materials. When a positron (antimatter particle) comes to rest, it interacts with an electron, resulting in the annihilation of the both particles and the complete conversion of their rest mass to pure energy in the form of two oppositely directed 0.511 MeV photons. The coulomb forces that constitute the major mechanism of energy loss for electrons are present for either positive or negative charge on the particle and constitute the major mechanism of energy loss also for positrons. 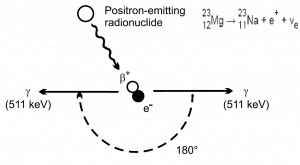 Whatever the interaction involves a repulsive or attractive force between the incident particle and orbital electron (or atomic nucleus), the impulse and energy transfer for particles of equal mass are about the same. 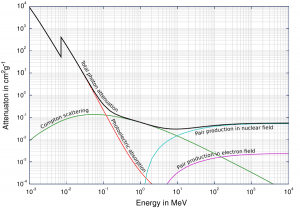 Therefore positrons interact similarly with matter when they are energetic. The track of positrons in material is similar to the track of electrons. Even their specific energy loss and range are about the same for equal initial energies. At the end of their path, positrons differ significantly from electrons. When a positron (antimatter particle) comes to rest, it interacts with an electron (matter particle), resulting in the annihilation of the both particles and the complete conversion of their rest mass to pure energy (according to the E=mc2 formula) in the form of two oppositely directed 0.511 MeV gamma rays (photons). Therefore any positron shield have to include also a gamma ray shield. In order to minimize the bremsstrahlung a multi-layered radiation shield is appropriate. Material for the first layer must fulfill the requirements for negative beta radiation shielding. First layer of such shield may be for example a thin aluminium plate (to shield positrons), while the second layer of such shield may be a dense material such as lead or depleted uranium. Gamma rays are high-energy photons (about 10 000 times as much energy as the visible photons), the same photons as the photons forming the visible range of the electromagnetic spectrum – light. Photons (gamma rays and X-rays) can ionize atoms directly (despite they are electrically neutral) through the Photoelectric effect and the Compton effect, but secondary (indirect) ionization is much more significant. Gamma rays ionize matter primarily via indirect ionization. Although a large number of possible interactions are known, there are three key interaction mechanisms with matter. Gamma rays travel at the speed of light and they can travel thousands of meters in air before spending their energy. Since the gamma radiation is very penetrating matter, it must be shielded by very dense materials, such as lead or uranium. The distinction between X-rays and gamma rays is not so simple and has changed in recent decades. According to the currently valid definition, X-rays are emitted by electrons outside the nucleus, while gamma rays are emitted by the nucleus. Gamma rays frequently accompany the emission of alpha and beta radiation. 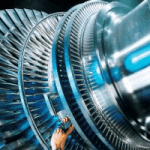 However, low-density materials and low Z materials can be compensated with increased thickness, which is as significant as density and atomic number in shielding applications. 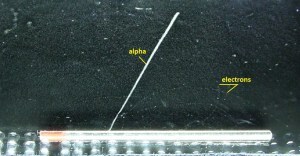 A lead is widely used as a gamma shield. Major advantage of lead shield is in its compactness due to its higher density. On the other hand depleted uranium is much more effective due to its higher Z. Depleted uranium is used for shielding in portable gamma ray sources. 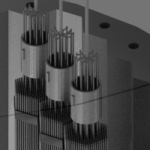 In nuclear power plants shielding of a reactor core can be provided by materials of reactor pressure vessel, reactor internals (neutron reflector). Also heavy concrete is usually used to shield both neutrons and gamma radiation. Although water is neither high density nor high Z material, it is commonly used as gamma shields. Water provides a radiation shielding of fuel assemblies in a spent fuel pool during storage or during transports from and into the reactor core. In general, the gamma radiation shielding is more complex and difficult than the alpha or beta radiation shielding. In order to understand comprehensively the way how a gamma ray loses its initial energy, how can be attenuated and how can be shielded we must have detailed knowledge of the its interaction mechanisms. 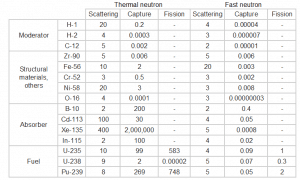 There are three main features of neutrons, which are crucial in the shielding of neutrons. Neutrons have no net electric charge, therefore they cannot be affected or stopped by electric forces. 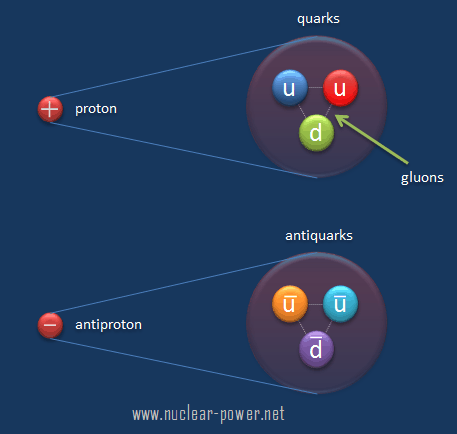 Neutrons ionize matter only indirectly, which makes neutrons highly penetrating type of radiation. Neutrons scatter with heavy nuclei very elastically. Heavy nuclei very hard slow down a neutron let alone absorb a fast neutron. 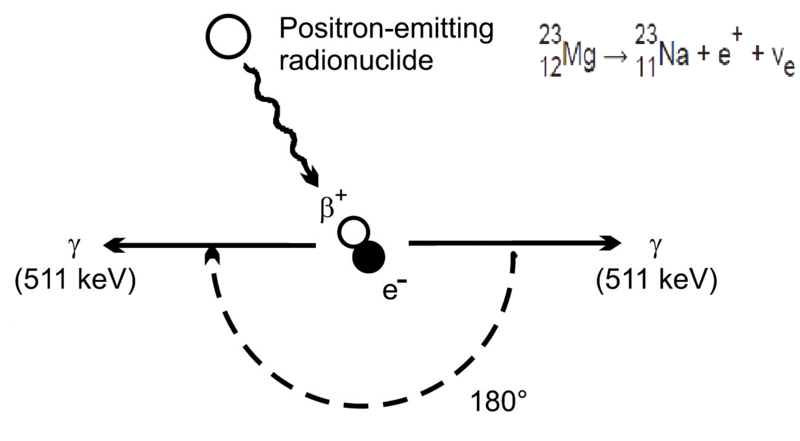 An absorption of neutron (one would say shielding) causes initiation of certain nuclear reaction (capture, rearrangement or even fission), which is accompanied by a number of other types of radiation. In short, only neutrons make matter radioactive, therefore with neutrons we have to shield also the other types of radiation. Slow down neutrons (the same principle as the neutron moderation). First point can be fulfilled only by material containing light hydrogen atoms, such as water, polyethylene, and concrete. The nucleus of a hydrogen nucleus contains only a proton. Since a proton and a neutron have almost identical masses, a neutron scattering on a hydrogen nucleus can give up a great amount of its energy (even entire kinetic energy of a neutron can be transferred to a proton after one collision). This is similar to a billiard. Since a cue ball and another billiard ball have identical masses, the cue ball hitting another ball can be made to stop and the other ball will start moving with the same velocity. On the other hand, if a ping pong ball is thrown against a bowling ball (neutron vs. heavy nucleus), the ping pong ball will bounce off with very little change in velocity, only a change in direction. Therefore lead is quite ineffective for blocking neutron radiation, as neutrons are uncharged and can simply pass through dense materials. Absorb this slowed neutron. 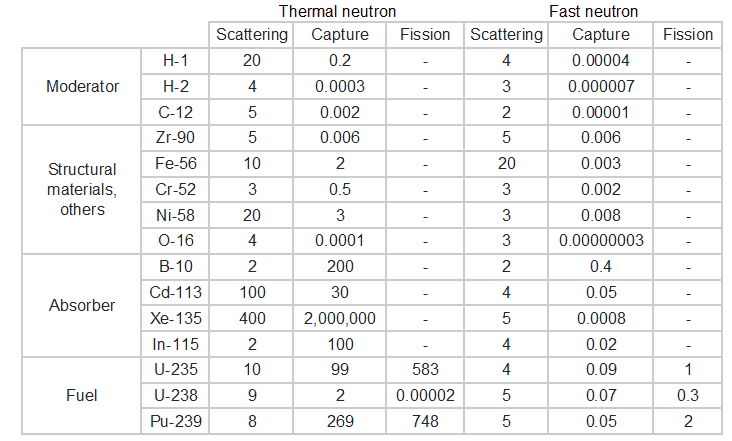 Thermal neutrons can be easily absorbed by capture in materials with high neutron capture cross sections (thousands of barns) like boron, lithium or cadmium. 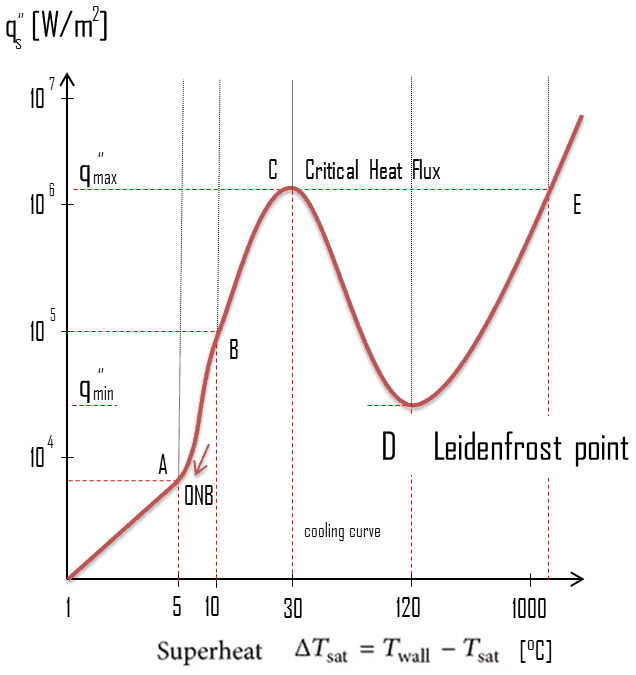 Generally, only a thin layer of such absorbator is sufficient to shield thermal neutrons. Hydrogen (in the form of water), which can be used to slow down neutrons, have absorbtion cross-section 0.3 barns. This is not enough, but this insufficiency can be offset by sufficient thickness of water shield. Shield the accompanying radiation. In the case of cadmium shield the absorption of neutrons is accompanied by strong emission of gamma rays. Therefore additional shield is necessary to attenuate the gamma rays. This phenomenon practically does not exist for lithium and is much less important for boron as a neutron absorption material. For this reason, materials containing boron are used often in neutron shields. In addition, boron (in the form of boric acid) is well soluble in water making this combination very efective neutron shield. Water due to the high hydrogen content and the availability is efective and common neutron shielding. However, due to the low atomic number of hydrogen and oxygen, water is not acceptable shield against the gamma rays. On the other hand in some cases this disadvantage (low density) can be compensated by high thickness of the water shield. In case of neutrons, water perfectly moderates neutrons, but with absorption of neutrons by hydrogen nucleus secondary gamma rays with the high energy are produced. These gamma rays highly penetrates matter and therefore it can increase requirements on the thickness of the water shield. Adding a boric acid can help with this problem (neutron absorbtion on boron nuclei without strong gamma emission), but results in another problems with corrosion of construction materials. Most commonly used neutron shielding in many sectors of the nuclear science and engineering is shield of concrete. Concrete is also hydrogen-containing material, but unlike water concrete have higher density (suitable for secondary gamma shielding) and does not need any maintenance. Because concrete is a mixture of several different materials its composition is not constant. So when referring to concrete as a neutron shielding material, the material used in its composition should be told correctly. Generally concrete are divided to “ordinary “ concrete and “heavy” concrete. Heavy concrete uses heavy natural aggregates such as barites (barium sulfate) or magnetite or manufactured aggregates such as iron, steel balls, steel punch or other additives. As a result of these additives, heavy concrete have higher density than ordinary concrete (~2300 kg/m3). Very heavy concrete can achieve density up to 5,900 kg/m3 with iron additives or up to 8900 kg/m3 with lead additives. Heavy concrete provide very effective protection against neutrons. About 94.6 percent decays by beta emission to a metastable nuclear isomer of barium: barium-137m. The main photon peak of Ba-137m is 662 keV. For this calculation, assume that all decays go through this channel. Calculate the primary photon dose rate, in sieverts per hour (Sv.h-1), at the outer surface of a 5 cm thick lead shield. Then calculate the equivalent and effective dose rates for two cases. Assume that this external radiation field penetrates uniformly through the whole body. That means: Calculate the effective whole-body dose rate. Assume that this external radiation field penetrates only lungs and the other organs are completely shielded. That means: Calculate the effective dose rate. Note that, primary photon dose rate neglects all secondary particles. Assume that the effective distance of the source from the dose point is 10 cm. We shall also assume that the dose point is soft tissue and it can reasonably be simulated by water and we use the mass energy absorption coefficient for water. As can be seen, we do not account for the buildup of secondary radiation. If secondary particles are produced or if the primary radiation changes its energy or direction, then the effective attenuation will be much less. 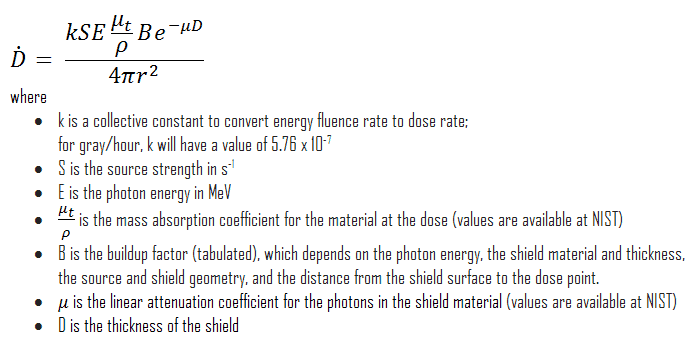 This assumption generally underestimates the true dose rate, especially for thick shields and when the dose point is close to the shield surface, but this assumption simplifies all calculations. For this case the true dose rate (with the buildup of secondary radiation) will be more than two times higher. Note that, if one part of the body (e.g.,the lungs) receives a radiation dose, it represents a risk for a particularly damaging effect (e.g., lung cancer). If the same dose is given to another organ it represents a different risk factor. The buildup factor is a correction factor that considers the influence of the scattered radiation plus any secondary particles in the medium during shielding calculations. If we want to account for the buildup of secondary radiation, then we have to include the buildup factor. The buildup factor is then a multiplicative factor which accounts for the response to the uncollided photons so as to include the contribution of the scattered photons. Thus, the buildup factor can be obtained as a ratio of the total dose to the response for uncollided dose. The ANSI/ANS-6.4.3-1991 Gamma-Ray Attenuation Coefficients and Buildup Factors for Engineering Materials Standard, contains derived gamma-ray attenuation coefficients and buildup factors for selected engineering materials and elements for use in shielding calculations (ANSI/ANS-6.1.1, 1991).